What would you do if you lost your cell phone? We carry so much personal data in our phones that this is a major concern for many. Here are some of the very best ways to track down your cell phone. The most basic methods are often the best! The first thing to try is to ring the phone. You may have lost it down the back of your sofa or under the seat of your car. Even if it is outside, maybe whoever picked it up will answer it. If this comes up blank then try offering a reward either by advertising locally or text the phone. Spread the word via your social networks and go back and retrace your steps in case it has been handed into lost property at the police station, gym or library! Most smartphones have features enabling you to track where they are. With the iPhone you can use the 'Find My iPhone' features by logging into your iCloud account, while Blackberry users can use a third party app called Berry Locator. If you have a Windows Phone then you can use 'Microsoft My Phone' to pinpoint the last known location based on when the phone performed a data sync. Failing this your cell phone network may have the ability to track the phone if you get in touch with them. If you have mobile spy app on the phone then you can use the GPS location tracking tool to find where your phone is. This type of software has many uses over and above call recording or text messages monitoring and is well worth adding to your phone as a precaution in case you ever do lose your phone. Tiffany Trepanier - blogger, mommy and a tech lover. Covers gadgets and apps for different blogs, including Topspy. Say hello if you are an app junkie! How Fast is Technology Expanding? Given the rate by which technology is expanding, it’s hard to determine how fast it will continue to do so into the future; we’re seeing increasingly faster internet speeds, more advanced cars, and the potential for interactive and virtual reality displays through items such as Google Glass. Moreover, internet network speeds and server capacities are being tested by growing user demands, making it more important than ever to source high quality cabling and routers from companies like www.comms-express.com. With this in mind, how much faster can technology expand, and what problems might this cause? In 1965, Gordon Moore, one of the co-founders of Intel, predicted that the number of transistors on circuits would continue to double every year to cover more data; in this context, computers will become faster and faster as they integrate more processing power, creating the potential for even more powerful smartphones, computers, and networked technologies. Most people are now accustomed to technology increasing at an accelerated rate every year, and have for the most part fallen into the habit of adopting new devices and experiencing faster speeds; the sense that technology is somehow overwhelming is arguably going to become something that’s less common for subsequent generations. Businesses that don’t adjust to technological advances also run the risk of falling behind in terms of the services they offer their customers. We’re currently seeing the rate by which people can connect to the internet and share data increase by significant amounts every year. From 2012 to 2013, the UK experienced a 41.1 per cent average rise in speeds to 7.9 Mbps, a change partly driven by new fibre optic internet and 4G connections. Networks have also had to adjust to increasing data demands and content sharing requirements, with businesses and users having to rely on tougher network infrastructures and more powerful wireless connections. There is a case, then, that the accelerated rate of technology, expressed through increasing numbers of high tech devices and speed changes to networks, will enable more convenience and more productivity; labour can be partly automated, and businesses can connect with users in more comprehensive ways. Individuals can also, at least in theory, benefit from being able to purchase, browse, and learn more about the world. However, what point is the accelerating rate of technology moving us towards? On the one hand, we’re receiving the benefits of new technologies, but at the cost of widening gaps between the First and the Third World; it can also be argued that the strain of keeping up to date with the latest trends hurts both our wallets and our ability to function - - dependency on technology and internet addiction may become even worse as trends for more portable and ubiquitous devices increase. Rosette is a freelance tech blogger who likes to think about how we’ll be experiencing the world in the future. For now, she’s confident in upgrading his network infrastructure through supplies from www.comms-express.com. She also blogs about smartphone technology and 4G. Many Outlook users like you were always looking for a reliable tool to easily synchronize outlook files available on your desktop and laptop so could all important data and contacts available. For example, you use Outlook on your desktop and laptop both and wants all your outlook folders and files available on both at the same time. Manually synchronizing outlook between different computers is possible using the outlook import option, however doing it each time and then back again could be hectic and kills so much time. Wisco’s SynchPST is an extremely easy to use and efficient tool that lets you synchronize personal folders in Microsoft Outlook on two or multiple computers along with all the outlook items such as contacts, mails, inbox entries, appointments, tasks etc. The synchronization procedure is simple and wouldn't leave any pressure on your mind. Just select the source and destination PST files location and click on the merge button and that’s it. All your personal folders (and sub-folders) will then be merged into one along with its read and unread status. The software can also successfully synchronize different outlook data files (.pst files) or synchronize between Exchange mailbox and an outlook data files. Follow the steps mentioned below to synchronize outlook files located on different computer or on server. 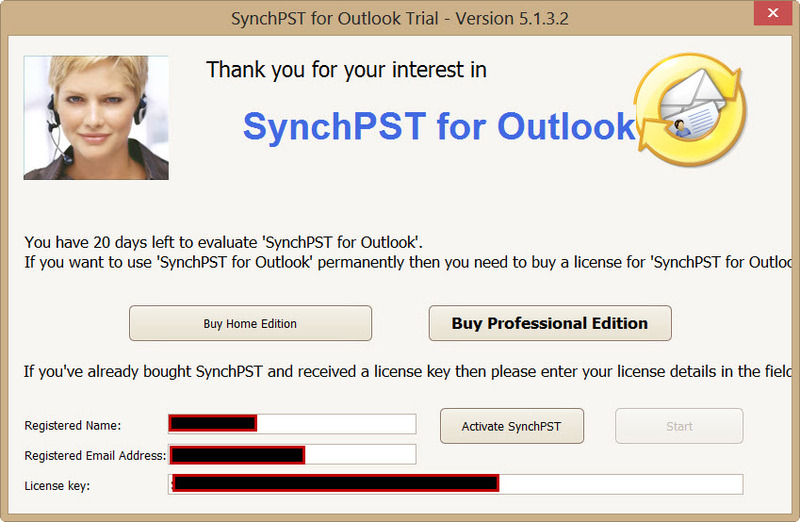 Download SynchPST from its official website and install it on your system. Double click on the setup files to start software installation and follow on screen installation steps to install it on your PC. Start the program from the desktop (double click on the synchpst Icon). If you've the activation code and other details, fill it in the text boxes like registered name, email ID & activation code. At last, click on Activate now to finally activate the software. Note: If you haven't the registration details or didn't make purchasing yet, you may still able to give this software a shot and explore all the features. As shown in the image below, you’ve a dual pane window namely source and target where you’ve to locate pst files from source and destination separately. Click on the Search button on source side to open outlook files on the current location. Click on the Search button on target side to locate the other pst files that you want to synchronize. 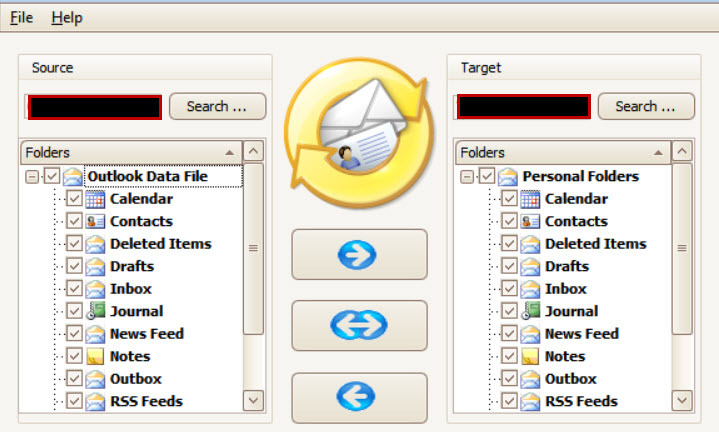 For example, if a pst file is available over network, navigate where the file is stored and double click to select it. 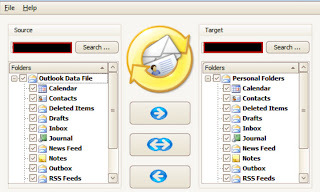 There are three arrowed button located at mid to transfer files only from source to target or from target to source or synchronize both and make all the outlook files available on both side. P.S. You may choose synchronize only specific folders (or subfolders) and leave the rest to copy only important files. The software has simple and intuitive interface to let users perform the entire operation in the easiest manner. Synchronizing outlook files between different computer is never been easier but the third party tools like SynchPST make this task from tedious to tiny and fast. If you’ve deleted an item on the source machine, either unintentionally or mistakenly. The same will be deleted from the destination or target machine too and the only way to recover it is by using professional Outlook recovery software. However, if you don't want to synchronize deletions then you can unselect this from the menu 'File' > 'Settings'. The software is equipped with powerful feature and functionalities which competitors failed to deliver and clearly lacking in all the aspects. No matter if you’re just a beginner in using outlook or know little about synchronizing outlook, you can still able to perform the entire operation like pros. Addiction Recovery – There’s an App for That! Faced with addiction, acceptance is one of the most difficult aspects of learning self-control. However, many people face up to their addiction every single day. While the journey to get clean and sober is difficult, it is only half the battle. Learning to control the cravings and staying clean is the other half of the battle. Unfortunately, for any type of addiction, being an addict is never truly over. The fight continues as you fight for sobriety – as you find yourself finding new things to keep your attention. The greatest thing about confronting addiction is that you are never alone in the battle. When it comes to staying sober, it can be a tedious battle. However, there are options available to you in helping you stay clean. Going to meetings. Whether you are an alcoholic or a drug-user, know that there are meetings designed specifically for you. In these meetings, you talk about the struggles you faced every day and how they made you turn to substance abuse. Furthermore, you will discuss ways to keep clean. Getting a sponsor. Sponsors often go hand-in-hand with the meetings. A sponsor is someone, usually a former user themselves, who you can always turn to for advice. During your weakest moment, you should be able to contact your sponsor and they will be able to talk you out of using again. Downloading apps to help. Although the first two are highly suggested, sometimes going to meetings is just not feasible for everyone. In this case, downloading an app for addiction recovery is the next best option. Smartphones have allowed for many new apps to be created and used no matter where you are located. One of the most vital apps for recovering addicts is Sponsor Support, compatible with the iPhone. Sponsor Support is an easy-to-use app that allows you to keep all of your affairs in order. Keep medical records loaded into this app, in case of an emergency or relapse and you are rushed to the ER. There is an easy "I Need Support" button that will send a text message to your sponsor and notify them of your exact location using GPS. For emergencies, there is a "Call My Sponsor" button that will immediately get in touch with your sponsor. An app such as this is effective and efficient for those who are unable to get to meetings often and have a slip or near-slip. This efficient app helps you look for any 12 step rehab program nearby, no matter the addiction you have. When opening the app, you will see two buttons on the top: "Find Meetings" and "Add Meetings." When clicking the "Find Meetings" button, your phone uses your GPS location to find the closest meetings in your area. If you are currently attending a meeting that is not listed on the list, click the "Add Meetings" button, which will automatically allow you to add a current meeting. Everyone needs help, and the first step is admitting you have a problem and going to a 12-step meeting. This app helps push people in the right direction. These are two apps, both created by the same company with the same purpose, just for different people. Friend of Bill is for alcoholics who need to keep track of their sobriety. This app details to you the importance of sobriety, sharing 350 inspirational quotes. In addition, it counts up the days you have been sober by day, hours and minutes, giving you the drive to stay clean. Friend of Jimmy is designed for former narcotic users looking to track their sobriety and has similar features to Friend of Bill. If you want to mute your music quickly without tapping the volume button several times, you can simply press the volume-down button and hold it down muting the music instantly. This is especially useful if you prefer to lock the screen rotation using the side button. You do not have to worry that the music will distract your sleeping child, and you can turn the volume back up by pressing down the volume-up button. If you want to stop your screen from rotating with every movement, you can use the mute button to lock the screen orientation. When you go to the Settings in the menu feature, you will find the message "Use Side Switch to" and you can choose to Mute the device or to Lock Rotation. 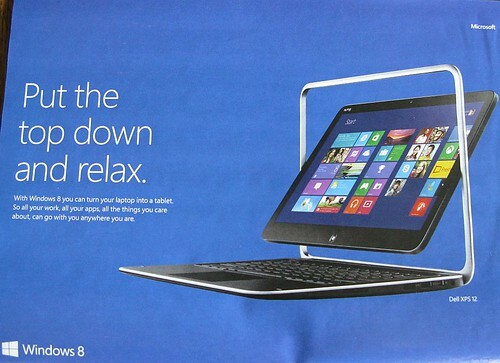 This will allow you to use your iPad effectively without the constant shifting. When you need to carry around your device, it helps to have a convenient way to do so. 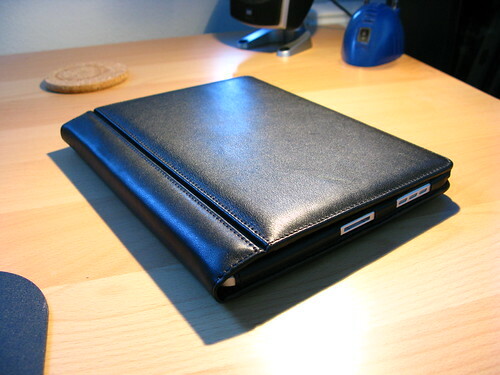 You can get a beautiful leather iPad case that will make carrying the device easy and fun. The stylish case can come complete with features like padded straps and a compartment for any documents you need to carry with you. There are several cases available and with careful research, you can find one that will protect your device while making it easy to use the iPad. Changing the Photo Booth filters can allow the device to be very versatile and effective and it can also be fun to use. This function is not just for the front-facing camera, you can also use the camera at the back of the iPad you can make the change that you want to suit your circumstances. This turns your device into a versatile camera. You can use your iPad display as a picture frame to share your family or holiday photos. The big display allows you to view the photos conveniently. 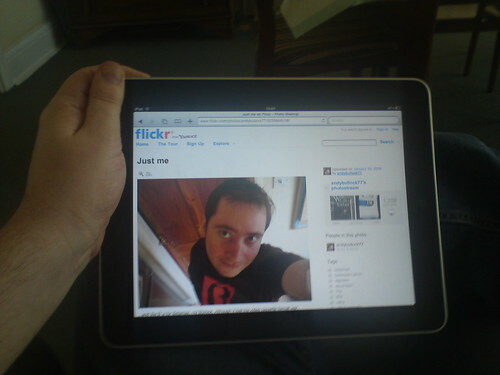 By simply pressing the Picture icon in the unlock screen, you can turn your iPad into a frame. The digital frame helps to enhance the viewing as you can watch a slideshow of the images. If you are worried about your children accidentally deleting all the information on your iPad, you can easily backup all your information. There are two ways to back up your information and you can choose to save the data on your computer or on the Cloud. If you choose the computer option, you can connect the device to your computer and instantly save everything by following the simple instructions. When you choose the iCloud option, you can save the data automatically without connecting the iPad to the computer. 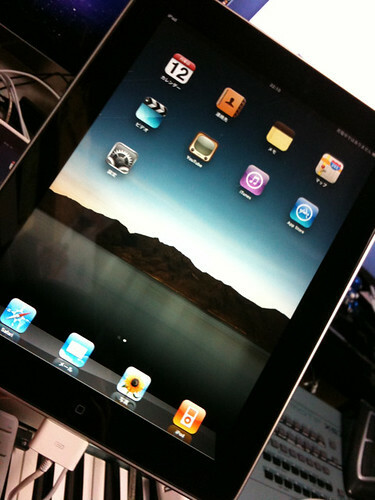 Most people have delicate or sensitive information on their iPad devices. If the iPad falls into the wrong hands, you can make sure that the information cannot be accessed by setting the Passcode Lock. The lock is activated after 10 attempted Passcode Fails. If someone tries unsuccessfully to enter the passcode, all the information is instantly erased. This function is especially important for those who use their iPad for work and are wary of important data falling into the wrong hands. The minimal iPad design is one of the greatest attractions of the device. If you want to maintain the sleek look and beautiful display while still protecting the tablet from scratches and smudges, you can invest in the Smart Cover. The screen protector shields the tablet and it is also versatile, becoming a stand when you are watching videos or typing. The cover, made by Apple helps to ensure that the design aesthetic is maintained and it comes in a wide range of fun colors to suit your taste. As you can see, you can access a wide variety of apps and accessories that will help you to enjoy your device and keep it safe. You can shop online for a wide range of products that will make using your device fun and convenient. Good luck researching! The author of this post, Nancy Baker, is a freelance blogger who has a keen interest in technology and resorts to blogging to share her views about the latest apps and gadgets. She is part of the team at Want Buy Let Buy, a company that provides iPad mini cases among many other things. Cleverfiles is now offering the Disk Drill software online and in several different versions, one of which is completely free. It provides significant benefits and advantages for those who need to retrieve deleted files on Mac computers or laptops. In the world of the Internet, nothing is foolproof, but Disk Drill sure does seem to make life a whole lot easier! It’s a great tool to use when you have accidentally emptied your trash bin on your desktop before you remembered to retrieve that previously deleted but extremely important file. Disk Drill even works on systems with disk drives or backup partitions which are beginning to fail, which is a very common occurrence that can happen to anybody. To restore deleted files on Mac computers, Disk Drill provides a few different methods and options, as well. There is a quick scan feature for retrieval of files that have been deleted in the recent past, and then there is a more exhaustive and thorough search that can find older files and applications that have not yet been overwritten on the hard drive. This is the critical key. Disk Drill is not a miracle worker. As soon as you begin to see that your disk drive is beginning to fail, grab your free version of this remarkable software and begin to thoroughly scan your system. Whether you have lost an image file, document file, executable file, or an entire application or program, Disk Drill will most certainly find it and restore it to its original condition as long as the disk drive has not been permanently damaged or overwritten. What’s more is that Disk Drill is easy to use, complete with online tutorials to help you quickly recover recently deleted files on Mac devices of any kind. You likely find yourself needing to share files on a fairly regular basis. Whether it’s images, documents, videos or any other file type, you need a good way to share. Email works to share single, small file or two with one or two people but if you’re sharing more regularly you need a better option. Many file sharing software options are available, for different uses and different price points. You’ll have to evaluate your individual needs to decide which option is best, but the five below are all worth considering. Dropbox is a big name in the file-sharing world, one of the first services to offer a client software with seamless storage and upload. It’s perfect for a diverse range of uses, from personal sharing to sharing with clients, family or friends. To sync a file you just install the Dropbox client on your computer and place the file into your designated Dropbox folder. Alternatively, you can upload files via the Dropbox website. Getting the files to others is easy, and you can choose to use the public folder or create shared folders with those who need access to certain files. There are no upload limits for individual files, and storage space is given based upon whether you have a free account or one of many paid account types. Mobile access is possible via the Dropbox app. RapidShare is a popular fire-and-forget file sharing service with multiple levels of accounts available. If you upload without signing up you can upload a single file up to 200MB. The file is available for download up to 10 times before it is removed, perfect if you just want to share a quick file with a few friends or clients. After uploading a file you can set up a free account called a “collector” account, giving you additional ways to both organize and store files. You can collect points as you upload in order to convert your account to a premium account, or purchase a premium account to raise your storage and per-file limits. If you’re looking to upgrade, however, your money is probably better spent on a different service. RapidShare is really better for sharing a quick file or two and no more, especially if you don’t want to even sign up for an entire account. Google Drive is another flexible option, perfect if you or your business already uses Google’s apps like gmail or Google Docs. Google Drive allows you to upload a variety of folders and files, syncing them to the cloud and any devices you have with the Google Drive client installed. There’s a 15GB storage limit with paid upgrades available and a 10GB limit for individual file uploads. Google Drive integrates with all files created and stored in Google Docs. You can edit any Google Docs as well as other documents from Microsoft, Apple or other office suites, so long as the document format is supported by Google Docs. You can easily share your files with your Google contacts or other email addresses, though they’ll need a Google account for full access. If you have a lot of small files to share (less than 200MB), MediaFire is quite useful. It’s great for sharing massive amounts of photos, design work and other small projects. The basic account lets you upload an unlimited amount of files, so long as they’re under the size cap. The files stay for up to 30 days after the most recent download and all uploads are scanned for viruses. You can upgrade your account starting at $7 a month. The upgrades offer features like site-to-site transfers, larger size limits and direct file linking. MediaFire offers a folder-based organization system, making it easy to share large batches of files in an organized fashion. You can preview common document types with their flash-previewer. When you’re ready to share you can choose from social media options like Facebook or Twitter. You can also email to any contact list or an individual. The desktop app is still in beta but it’s coming along nicely, providing drag and drop options to quickly upload folders or individual files. Box is similar to Google Drive and Dropbox, offering a robust file management and sharing option. If you have the basic, free option you can manage files exclusively via the web interface. Drag and drop options are available for individual files and a java-based uploader allows you to upload entire file hierarchies. You can share files via email or social media, by individually selecting recipients or importing contact lists from supported clients. Box runs at a bit more of a cost for some premium features you might take for granted based upon their prevalence in programs like Dropbox. With a premium upgrade you have access to a desktop client and the ability to provide direct file links. Mobile accessibility is available regardless of your account type, via iOS and Android apps. File sharing is an important part of our connected world. You likely find yourself sharing files on a regular basis, whether it’s from personal device to personal device or with clients, family and friends. Evaluate your file sharing needs, and then choose from these great options to share your files as easily as possible. John Gower is a writer for NerdWallet, a site dedicated to helping consumers find 10 year mortgage rates. Is Migrating My IT Infrastructure To The Cloud A Sensible Idea? Cloud computing – it’s quite clearly the future. These days, even our literary collections are stored in the cloud, never mind our music and our games. It’s strange to think that in another decade’s time, everything will be cloud based. We won’t buy and own physical artifacts anymore – they’ll be hypothetical ‘things,’ metaphorical ‘stuff’ that exist only as an abstract concept. Functionality, efficiency and reliability will likely go through the roof if companies and small businesses no longer have to rely on expensive, complex IT systems, but it is still a strange thing to consider. Strange or not – cloud computing is here and it’s here to stay. Migrating your company’s IT infrastructure to the cloud could end up saving you thousands of pounds every year. However, it can be a tricky transition to pull off successfully and it does require some hard work in order to achieve it. If you don’t manage to smoothly integrate existing systems and processes, redeploy redundant staff and regularly monitor the quality of your new infrastructure – it may be that migration to the cloud doesn’t result in the significant savings that you expect. Migration must be done properly in order to reap its full benefits. There’s an endless list of advantages associated with migrating your IT infrastructure to the cloud – there’s a lot more advantages than there are disadvantages, anyway. Monica Hamilton, director of solutions marketing at McAfee, points out that as long as small businesses do their homework, they should see migration as an obvious success. Cloud applications tend to be much cheaper than conventional applications because they can share and re-use resources. Migration to a cloud based system also negates the need for specially trained IT staff. The performance and scalability of a cloud is also much better than it is with conventional IT infrastructures. Whilst a single server may break down or run out of resources, a cloud system is designed to be able to handle massive changes in load. Furthermore, cloud services tend to be monitored a lot more often that traditional systems. Though the seemingly opaque nature of the cloud may look risky to some small businesses, it actually tends to be a lot safer. Cloud services are constantly scrutinised and improved according to whatever technological developments are emerging at any one time. This makes cloud systems far more reliable than standalone systems, though many people do not realise it, says CIO journalist Sheng Liang. Due to the fact that cloud based computing is mainly designed with large enterprise in mind – small businesses can use it to take advantage of the most up to date IT developments emerging all across the world. Perhaps the biggest disadvantage of migrating your IT infrastructure to the cloud is the potential for blackouts and outages. Now, blackouts aren’t a persistent problem here in the UK but they do happen. A blackout would inevitably knock out your web connection and leave your system inaccessible for however long it lasts – the same goes for a service outage. If any part of your system malfunctions or overloads, you will need a persistent internet connection to repair it. This can be extremely difficult if the internet is your entire system. Furthermore, cloud basing computing does not negate the need for online protection. Users must still be protected by conventional internet security programmes. Some companies like Umbrella Security and Panda Security do offer specially designed cloud based packages. Author Bio: Rosette is an IT consultant and an expert on the benefits of cloud computing. Her recommends www.NSE.co.uk to anyone looking for help migrating their IT infrastructure to the cloud. SharePoint is traditionally and still used as a content management tool but, over time, has extended its application to a broader range of uses. Its common use is down largely to its Web platform and is even being used in modern cloud computing environments. Here are 5 essential SharePoint tips and tricks that will arm you with the skills to be able to use the 2010 version more powerfully. To protect your document from being changed by others, you can check it out. This makes it inaccessible by others until you choose to check it back in. It is best used as a tool to protect your document from being changed whilst you are working on it. It is a great way of maintaining the integrity of version history which you can also discard if you do not end up actually making any changes offline to it. SharePoint certainly makes collaborative working a lot easier with the facility to share calendars. Using SharePoint calendars enables you to overlay your own calendar onto it in order to create a combined calendar view. You can add up to 4 Exchange or SharePoint calendars which means a visibility of say, a whole team’s schedule. Social networking is big business and not just a social tool anymore. It is no wonder therefore, that SharePoint 2010 has decided to move forwards and integrate social networking into its capabilities. Visually and basic feature-wise, SharePoint has undergone a design makeover whereby the user profile page is far more in line with commonly used social networking sites like Facebook and Twitter. This change is not just visual but also in terms of available functions, for example, there is an ‘Overview’ section which works much like a ‘Wall’ on Facebook. Alongside a dynamic activity feed and a centrally located image library, SharePoint sites can look increasingly like common social networking sites which makes its use, far more intuitive to the mass public. It is not unusual for users to utilize SharePoint as a quick means of setting up a site however, with the expectation of it going live quickly, designers face a challenging task. The 2010 version has eased the burden somewhat by offering functionality that makes at the very least, branding a site, a lot easier and faster. The combination of customized themes that can simply be applied and CSS files means that the aesthetic aspect and the technical components can be tailored without affecting or interfering with one another. Building web parts is an intrinsic part of any SharePoint developer’s role but, since everything has to be rendered ‘code behind’, this is challenging for many who do not possess .NET development skills typically, designers. Now, SharePoint 2010 and Visual Studio .Net 2010 enable the creation of web parts with less effort and time. In addition to aiding the creation of ‘Normal and Standard’ web parts, we can now also build a new type - ‘Visual Web Parts’. When using this SPI (SharePoint Project Item), Visual Studio will create a number of files in various formats which creates an ASP.Net user control. As most developers will know, user controls when dealing with SharePoint speeds up development and offers re-usability. 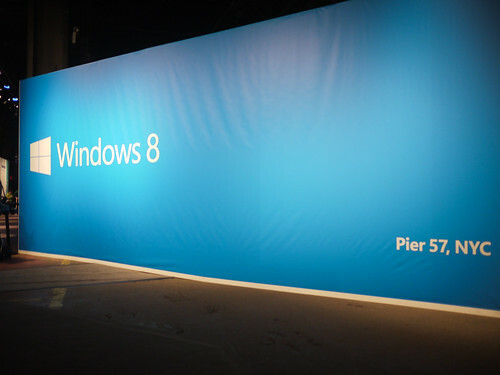 Windows 8.1, also known as Windows Blue in some circles, is essentially a new version of windows that aims to fix some of the 'mistakes' made by Windows 8 in the last update and help to take the vision of Metro/Desktop hybrid a little further. Officially 8.1 is not available yet, but it is possible to download a 'developer's preview' completely for free if you're an early adopter or someone who is generally thinking of developing software for the new OS. It's not recommended that the average consumer downloads this version as it's buggy and prone to going wrong. As such then, it's a little unfair to review 8.1 itself at this point, but we can review the developer preview which has been out a few weeks now and look at what it suggests for the future of Windows. While there are still a few bugs in place, the developers build of Windows 8.1 has mostly all of the promised features from the intended finished build. It looks very similar to the Windows 8 you're probably used to by now, but has a lot of additions that make it better to use. Among the best new features are the ability to multitask with two internet explorer tabs open side-by-side in the Metro side of things and the ability to more precisely manage the ratio of other apps (so you can have a 50/50 split down the middle of the screen if you like). 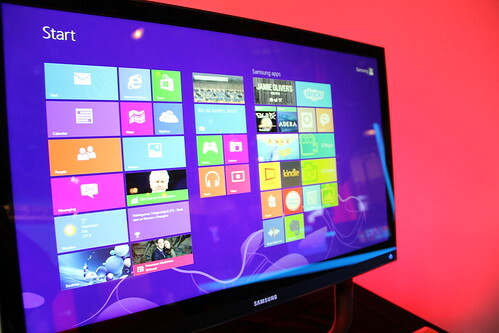 The Start screen has also seen some changes too, which include the ability to stack four rows of apps rather than three for better customization, and the addition of animated wallpapers. You can also set your desktop background as the background for your start menu, which many people have commented is a great way to reduce the jarring sensation of switching between modes. For those who really don't like the Start screen, you can now boot straight into the Desktop mode if you wish, which also gives you access to a renewed Start button… of sorts. Right click on this and you get the power-user menu, while left clicking takes you to the Start screen which is a nice compromise for people who missed the old system. There are also a slew of new apps available for Windows 8.1 and they all come included with the upgrade. These include a cooking app which has air-gestures for turning pages when you have syrup on your hands, a new calculator app (which is actually a bit harder to multitask with and one of the few 'misses' for me), better photos app (which allows for light photo editing), a health and fitness app and more. While this is an early build of 8.1, the changes are impressive enough that I'm already very excited for the final version. Installing the preview does mean that you need to wipe your data clean when the official release eventually comes though, so you might want to wait if you have a lot of data on your system. It's also worth noting that different people are reporting different bugs in the beta - personally I'm suffering from poor WiFi connectivity and an oddly behaving IE11. Again I must stress: upgrading at this stage isn't for everyone. But the point is that I'm impressed in spite of these drawbacks, and would personally be happy to live with the current version on my main PC. The preview may not be for everyone, but I'm certain that the eventual commercial release most certainly will be. Jason Haddad, the author of this guest post, is a tester at wellresearchedreviews.com. He is a tech enthusiast and often enjoys sharing his views and opinions on the latest softwares that hit the market. He often enjoys reading tech magazines in his free time. How can you select the right e-book reader, when there are so many options? This handy guide will take you through some of the top e-book reader options on the market today. Today’s e-book readers include dedicated devices that use technologies such as eInk, tablets, and more. Read on to find out which e-book reader is right for you. Although not the first to create a dedicated e-book reader, Amazon was the company to make e-book readers a household item. Amazon’s e-book reading devices are called Kindles. At the moment, there are several Kindles available, which range from low-cost dedicated e-reader options to tablets. Amazon sells its low-level model for just $69. However, this does included sponsored advertisements that are displayed when the device is off. This model can download books via a Wi-Fi connection and has 2GB of storage. It has a 5-way controller button that allows users to look up words and highlight passages. The Kindle Paperwhite is the newer kindle model, available in Wi-Fi only and Wi-Fi plus 3G versions. The 3G Paperwhite can download books from anywhere, no Wi-Fi connection needed. The Kindle Paperwhite features a brilliant touch screen that uses both eInk technology and a built in light to enhance the reading experience. The Kindle Fire and Kindle Fire HD (in 7” and 8.9” varieties) are Amazon’s solution to tablets. These can be used as eReaders with the Kindle reader app, or they can be used to watch videos, browse the web, and more. The screen is not as easy to read on for long periods of time as that of the other Kindles, but it is a great option for people who want to do some reading between other tablet activities. Like Amazon, Barnes and Noble offers the Nook in regular e-reader models as well as tablet models. The Nook Simple Touch is a 6” e-reader with a no-glare touch screen display. The entry-level model runs for $79 and does not have ads. Users can download books via Wi-Fi and concerned parents can make use of its parental controls options. The Nook Simple Touch with GlowLight is just like the Nook Simple Touch, except that it has a light that illuminates the screen for bedtime or low-light reading. The Nook HD tablet comes in 7” and 9” varieties and both feature apps from the Google Play store. This fully laminated HD display lets users read books, magazines, and newspapers, as well as watch movies and TV, use apps, or browse the web. The Nook HD is Wi-Fi ready. Yes, there is a larger iPad on the market, but the iPad mini is just the right size for reading. This versatile tablet device lets users browse the web, get apps from the iTunes App Store and read via the iBooks app. 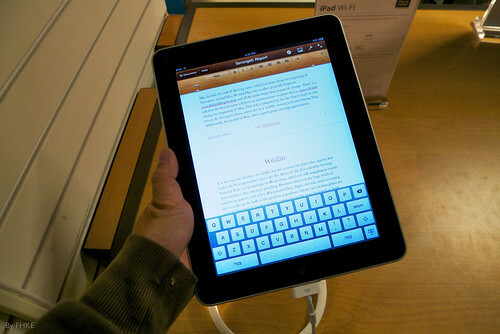 However, users could also download the Amazon Kindle app to read on their iPads. 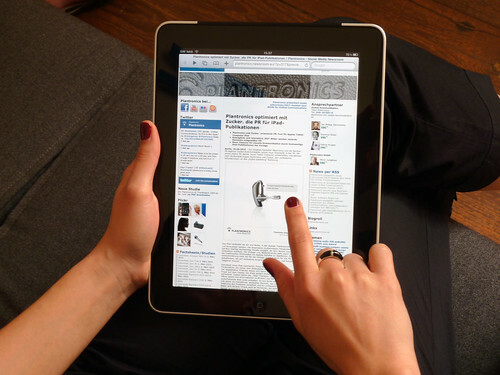 Since the iPad is not necessarily tied to a particular e-book platform, users can read books from a variety of sources. 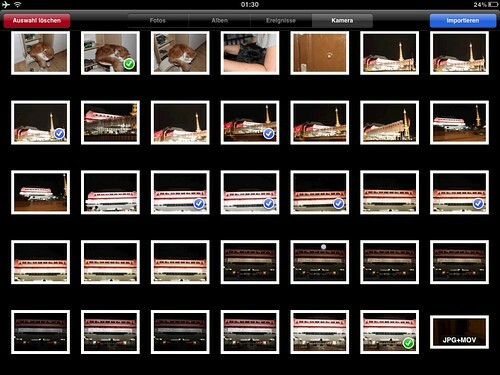 The only downside to the iPad Mini is that the screen is not ideal for reading in bright light. 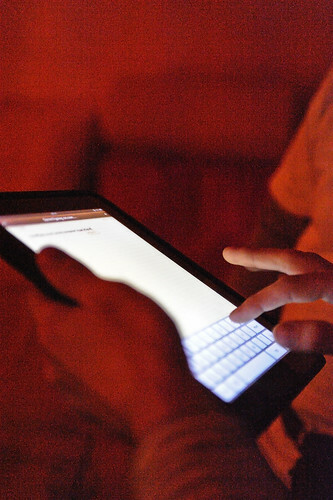 When deciding to get an e-reading device, make sure you know whether you want a tablet or a dedicated e-reader. 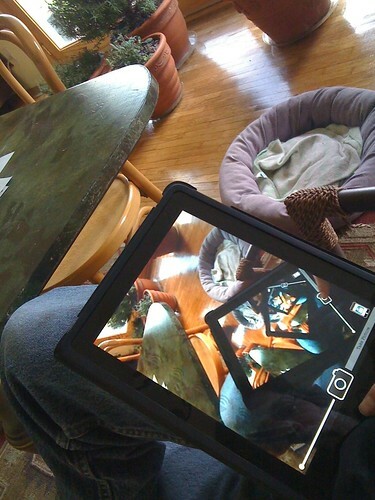 While tablets are cool and allow for a greater variety of tasks, they can be hard to look at for long periods of time. More frequent readers may be better off with a dedicated e-reader. This guide should help you to choose the best e-reading device for your needs! John Gower is a writer for NerdWallet, a personal finance website dedicated to helping readers save money with financial tips on everything from e-book readers to low interest credit card rates.